The secondary school students have been continuing with their weekly Turney School Choir rehearsals with Miss G. Most of the pupils now have a good musical understanding of the songs that we have been learning throughout the term. We are now helping the students to understand a little more about the words and meanings fond in the songs. Three Choir favourites were rehearsed during a recent session: What a Wonderful World, Stand by Me and Imagine. Miss G broke down each song ahead of the performance. We looked at the words on the large whiteboard, as well as the Communication in Print signs. Miss G asked some questions about the lyrics, to help the pupils understand some of the ideas in each song. 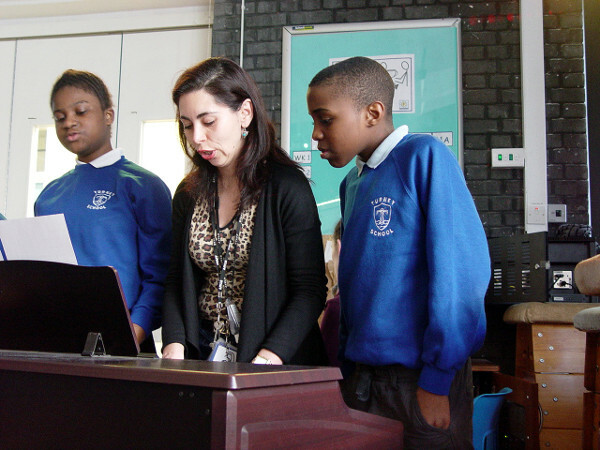 Groups of singers were also invited to gather around the piano as Miss G played Stand by Me. This was to help with getting a good feel for the rhythm, and to anticipate when each vocal beings. Teaching staff member Debbie assisted a second group with the signing for each song. 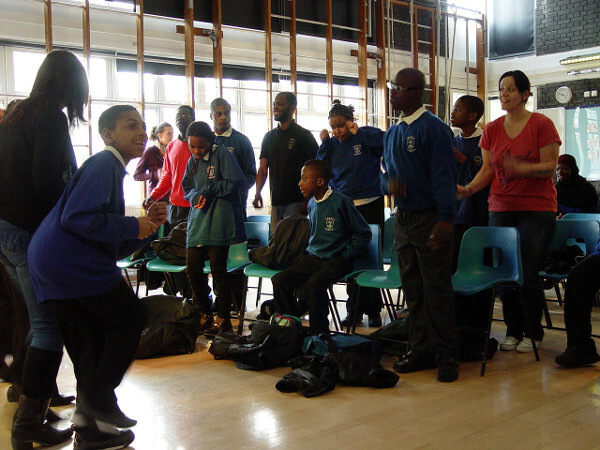 We finished off the Tunrey School Choir rehearsal with a lively rendition of Happy Birthday for Ferida.